The FP7 Winter Academy offers a three-day winter course covering all stages of an EU project development. Participants will learn the difference between FP7 and other EU programmes and get an in-depth look at the entire life-cycle of an EU project, including financial reporting and post project audits. They will learn how to identify a call and submit a proposal in FP7. The course combines 1, 5 days of proposal development and evaluation, and 2 days of project management. 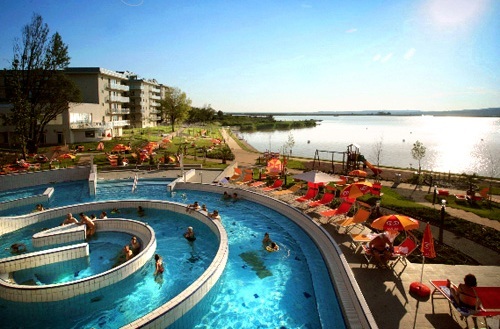 The training will take place at Velence Resort Spa hotel near Lake Velence in Hungary from February 7th until February 10th. The entrance fee is EUR 1990. There is also an early bird rate available for those who register before the 16th of December (1790 EUR). You can also attend the whole course for free if you solve a puzzle on http://www.eutrainingsite.com/game.php. The course is organized by Europa Media, an independent, non-profit organisation based in Budapest, Hungary. Its mission is to provide the public and other stakeholders with clear and structured information on the complex funding system of the European Union and the available funding opportunities under the different EU programmes and funding schemes.